I really have no idea when I fell in love with fantasy. As far as I can tell, I was born with a love for the magical and impossible. When I was four years old, my parents took me to a local paint shop to choose wallpaper for my bedroom. (This was back when wallpaper was still a thing.) And the winner captured my tiny self at once. It had a hilly meadow with beautiful flowers and romping unicorns. To this day, I don’t know what it was the drew me to it. I never liked My Little Pony as a little girl, so it wasn’t that. There was just such magic in the way the wind blew out the ribbons in those unicorns’ manes, and I was in love. I still have a thing for unicorns. We’re not supposed to admit that as adults. Unicorns are a little girl’s fantasy creature. Mature, real fantasists admire dragons or something equally dignified. But I think unicorns get a bad rep in the genre — and dragons are highly overrated! 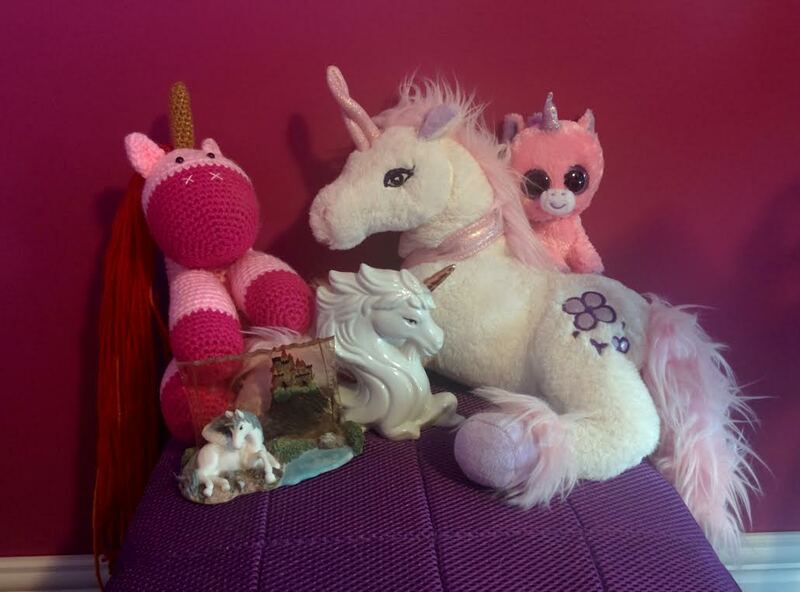 Being charmed by a unicorn is my first real fantastical memory, so I’m protective of the things. this is my actual bedroom. protective or unhinged? you be the judge. Speaking of my pre-school days, I wrote my first “fanfiction” when I was four. I’ve talked about Chip N’ Dale: Rescue Rangers before. I think it was the first story that really grabbed me. The mysteries! The characters! The adventure! The drama! I loved the cast, how they each had distinctive personalities, how much life and energy the tales had, and I always, always loved solving puzzles like the ones I got to see every week with Chip and Dale and, of course, Gadget. My childhood idol. I loved the Rescue Rangers so much that there were never enough stories for me. So I started making my own. Me, my sister, and the neighborhood boys acted out what I wrote. My first original character was the very unfortunately named Crutchy Emily, a second lady mouse on the team who was psychic and needed to walk with crutches because of a childhood deformity. Emily came into existence because a second female character was needed for my sister, but she quickly took over the adventures of the Rescue Rangers as told in my backyard. All my best story ideas were with Emily. I loved the Rescue Rangers for what they were, but more than that, I credit them for teaching me to be creative. For as long as I could remember, my family sat down in front of the television every day at 5 PM to watch Star Trek: The Next Generation. This is the first big stop on my map. Before the first season was even out, our local station ran reruns every single day. I saw every episode so many times, and I loved every one of them. 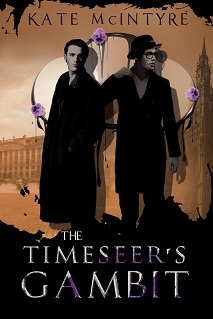 I adored the characters and the way they interacted, but more than anything I loved the way that the stories were about human beings — even when they weren’t actually human. To this day, what matters to me is characters who feel human, who exist as fully whole people, and who live in a world populated by other people just as complete as they are. TNG really imprinted on me how SFF fiction doesn’t have to be about defeating great evils or fighting epic battles. Exciting things were always happening on the Enterprise D, but it always felt like those stories were about the people and not the action. All the episodes that really stayed with me were about personal drama and ethical dilemmas. 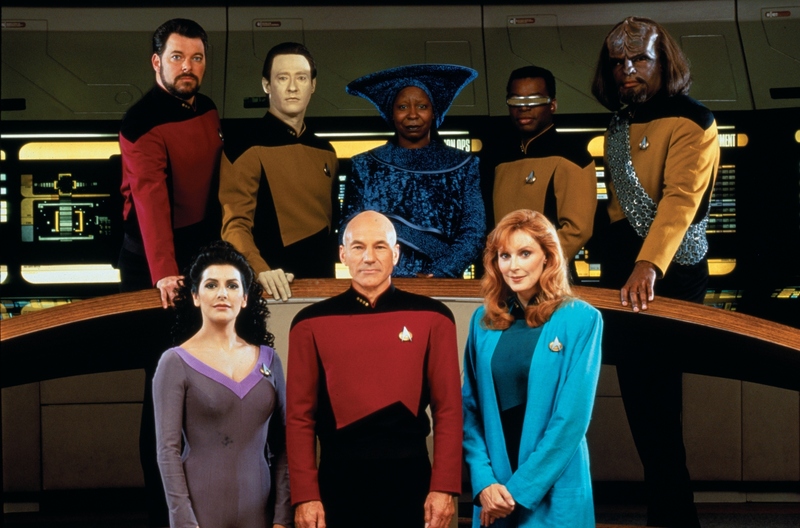 Not every episode of TNG was a home run, but I credit it with my love of complex situations and cohesive characters. And, of course, for showing me that a story doesn’t have to be based in any reality we know. I was reading novels by the time I was six, and I chewed through everything I could get my hands on. There was nothing I wanted to do more than read. And read. And read. In desperation, my family started picking up books for me at yard sales. One of these purchases was every single Nancy Drew. Most were in the old 1950s hardbacks, but the set also included up to Nancy Drew 100. I read all of them. Twice. And I don’t remember anything about the characters or the setup, except that Nancy was a genius and she solved a lot of mysteries. I’d loved mysteries from Rescue Rangers, but Nancy Drew’s mysteries were long form, written down, more complex, and the smart, clever, competent detective was a girl like me. I read something once that says every woman who was ever empowered by Nancy imagined Nancy into something that she wasn’t, and I think that’s true of me, too. Just now, I did a bit of reading to see when those 1950s reprints came out, and I’m seeing that Nancy was considered overly feminine and passive in those editions. But I remember her as fierce, strong, and in charge. I wanted to write about the sort of women I thought Nancy was, solving mysteries like Nancy did. This next one will go over the heads of most of my readers… except the Canadian ones! If I say: “Now the people will know we were here,” I think every single Canadian my age and even much older will know exactly what I’m talking about! What about “I need those baskets back!” or “Both of you know I cannot read a word,” followed by the slow curling of a fist. That’s right — I’m talking about Part of our Heritage commercials! Officially known as Heritage Minutes, these minute long short films were aired on Canadian television during commercial breaks. They had one minute to tell a story about Canadian history in an educational but entertaining way, and let me tell you… I loved Heritage Minutes. Every Canadian around my age seems to have such fondness for these things. Some were ridiculous, all were meme-worthy, but a lot of them were, quite honestly, brilliant. The way that they managed to tell these effecting stories in barely any time at all, how every line of dialogue had to land and every shot had to communicate so many things at once. Heritage Minutes were actually fantastic, and I wanted to tell stories like those. Stories that seemed so big and yet were told in such a close, intimate way. There were 53 Heritage Minutes in total, and every single one is kind of amazing. I learned a lot about history, including such relevant information as the fact that no one was going to read a comic about a strong man in tights, Joe, it’ll never fly! But I learned a lot more about storytelling, and how all you really need to make a good story is a few people who make an impression. It seems like one of the universal cornerstones of my generation were two shows that aired in the mid-nineties. Remember Xena: Warrior Princess and Hercules: The Legendary Journeys? The “Totally Heroic TV” block, as it was called on that same local station, was the first time I had any understanding that fantasy existed. I knew about science fiction, but fantasy? It had always just been something I’d wanted to exist, my love of history combining with my love of imagination, magic, and adventure. I loved Xena, and I loved Hercules, but there was a third show on that block up here in the north. 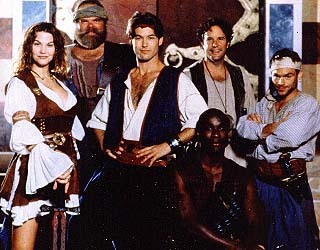 It was called The Adventures of Sinbad, and I loved The Adventures of Sinbad. It had what the other two lacked, a core cast of characters, something that I’m now realizing was always important to me. Looking back, the show had a lot of problems. Apart from Rongar there, why are you all so white?! … sure. these people look middle eastern. But I loved it. It was more true fantasy than either Xena or Hercules, based a lot less in real myths. I went to so many places, saw so many things, and there was so much magic. I especially loved the snappy dialogue between Captain Sinbad and Maeve, the Celtic sorceress. It was because of my love for Sinbad that I eventually learned what fantasy fiction was. I had difficulty in school, always a victim of bullying, and my favourite teacher took me out into the hallway one day. She wanted to give me something to focus on, so she told me to write a story. I told her that my favourite thing in the world was Sinbad, and she encouraged me to tell something that was like it. The next period, I started writing my first real novel, forty pages of Mary the Mouse notwithstanding. I was eleven. A local girl, four years older than me, looked after me, my sister, and some younger kids at church. I got talking with her one day, obsessed as I was at the time, and found out that she loved Sinbad, too. I showed her my work on that novel, barely disguised fanfiction. She asked me if I liked any other fantasy. She brought me a copy of a book she loved. It was one of the Valdemar series by Mercedes Lackey. I read it in a day, and it changed my life. I had been reading books nonstop since I first learned how, but Mercedes Lackey’s work was… different. It was adult. My favourite series at the time was the Babysitters Club. 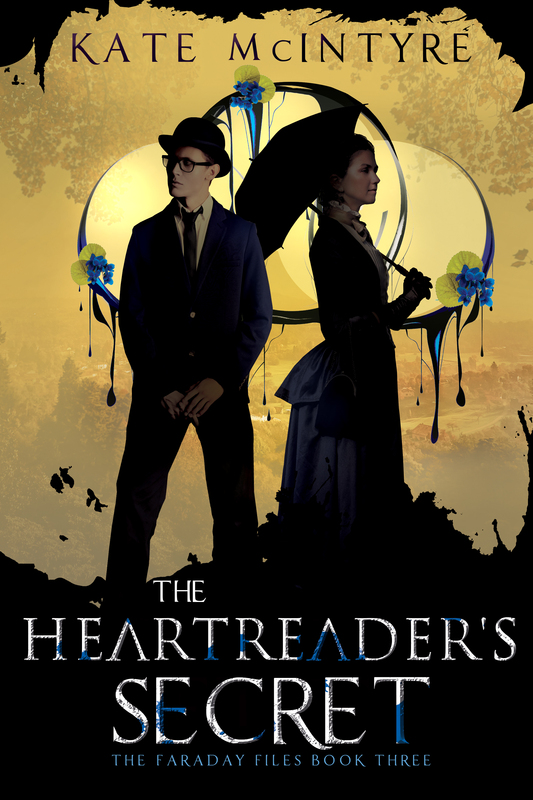 The struggles of the Heralds of Valdemar were not like the struggles of the babysitters. This was pretty much my first encounter with real fantasy. I’d never even read The Hobbit. And it was so swashbuckling and fun and character driven and relationship focused and diverse! There was romance and danger and I had discovered a whole new world. If I had read a lot before, once I discovered fantasy, I was unstoppable. Video games had been a constant in my life. We had a Nintendo when I was very young, and after we got rid of it, I changed to playing computer games. Eventually, I got back into console gaming. I could talk for hours about the games I love most, but it’s not the story-based games like Final Fantasy or anything Bioware ever made that I would call a highlight on my influence map. No, that honour would go to… Rodent’s Revenge! Chip’s Challenge! Mario 2! Because these games didn’t have stories, I made my own. From the small amount of information I had, I filled in the blank spaces. 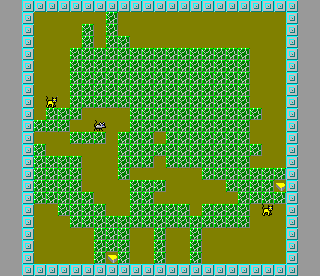 The mouse in Rodent’s Revenge became a secret agent seeking revenge for her husband, tragically killed by a mousetrap. Chip’s quest to join the Bit Busters came from a long sordid romance with club leader Melinda. Princess Peach got furious at Mario for his strange dream taking over the real world. this is a highly classified operation, sir. It’s always been games like this that got me writing. My brain naturally wants to fill in blank spaces. As I got older, I fell in love with games that had interesting but undeveloped characters, or vague but solid world-building. I would spend hours filling out the details of them, building magic systems to explain their abilities, creating history to explain the cultural customs of the nations. There are more of these games than I can list, but the biggest one would probably be the Exile series by Spiderweb Software. To this day, I can load up those games and get completely lost. So much text to read, such an interesting world… and then everything that I built on top of that. Those games took hundreds of hours to beat, and every second of them, I spent filling in the details. At a certain point, history becomes too recent to trace a map through what’s affected me, and I’ve taken smaller and smaller pieces from what I’ve loved along the way. I learned so much about world-building from Tad Williams and Robert Jordan. I came to understand that a good character not always a likeable character from George R R Martin and Robin Hobb. 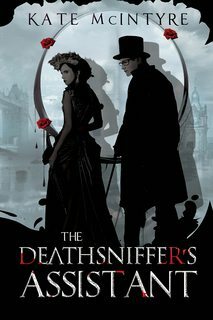 Gail Carriger and Scott Lynch’s ability to make humorous, snappy dialogue part of a story that still tugs heartstrings charmed me. And all the fantasy authors in the last decade who have moved our genre away from the same medieval trappings have inspired me to build on what they’ve built. But I think this map touches on what built the core of who I am as a writer. Hopefully you’ll all enjoy seeing how these lessons I’ve learned affect my book when it comes out this summer! AHHHHH TNG – that was a family event at my house too! I can still remember the four of us looking at each other in shock/dismay/delight at the season finale break between the Locutus of Borg episodes. (“Mr. Worf…FIRE.” Pure genius.) Did you get into Babylon 5 at all in the 90s? No, I wish I had, though! We stopped getting cable when I was about six, and we didn’t get it again until I was around 23! Eek! The good news is that I read a lot without TV to distract me… the bad news is that anything that didn’t air on my local stations during the 90s and early 00s, I completely missed out on! The Xfiles, Bab-5, Farscape, Stargate, Buffy/Angel, and so much more! I’m slowly catching up on everything I missed. And meanwhile the only time in my life I had cable was late 90s-early 00s (after which we decided it made no sense to pay $50/month for the Space channel and Law & Order three times a day). Interesting how much more focused on story arcs TV got in that interval though vs. the very episodic way TNG was put together.